This was the game when Saints were going to put down a marker to both Spurs and Liverpool that we were going to fight all the way to the end for fifth place and even ManU in fourth spot were not out of reach. That was shown up to be the ridiculous optimistic twaddle that it undoubtably was, by a truly pathetic Saints performance, that only improved after they were reduced to ten men, ten minutes after the break, when Ward-Prowse was rather harshly shown a straight red for colliding with Jermaine Defoe in the penalty area. The resulting penalty was converted by Jordi Gomez and for the rest of the match Saints really went for it, which rather begs the question - Why didn't they play like this with eleven men in the first half? Pellè almost grabbed an equaliser in the dying embers of the game, but it was not to be. 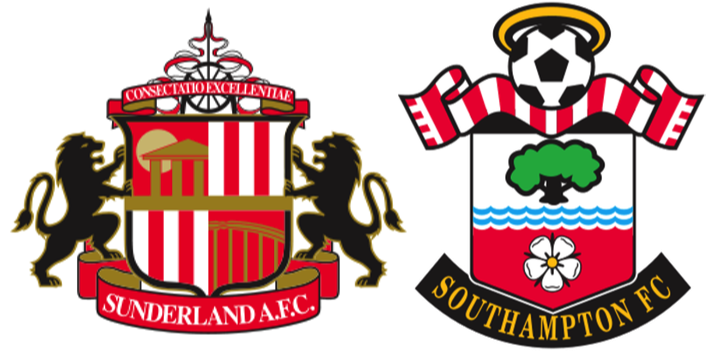 The game started with Sunderland showing that they were certainly up for it and Saints just seemed to show from their tentative body language that they were anything but. Having said that, there was nothing approaching any decent football from either side. Given the general level of incompetence, it came as no surprise when Saints Mr.Reliable, José Fonte, managed to kick a Sunderland player in the head, while attempting to clear from the penalty area. Gomez converted the spot kick and Saints were 1-0 down, with just over 21 minutes played. Saints equaliser came almost immediately, with a pretty amazing display of complete incompetence in the Sunderland defence. From the kick off, Saints hit a long aimless ball forward. Pantilimon came for the ball and caught O'Shea and Coates by surprise. They collided and the ball came to Mané, who tapped the ball into the empty net. Hilarious. After the break was probably the worst ten minutes of play that I have witnessed from the team this season. Completely clueless and although James Ward-Prowse was a shade unfortunate to be sent off for the challenge on Defoe, he was one of the worst culprits for Saints lack of direction. 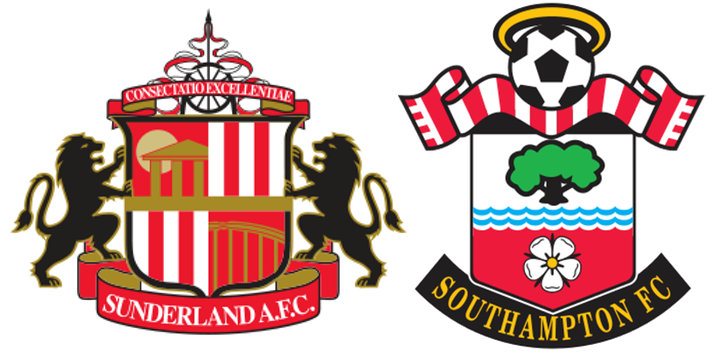 Unfortunately Saints managed to give an abject Sunderland side a victory that gives them hope of avoiding the drop into the Championship. They simply don't deserve that. So where does this leave Saints? It goes almost without saying that Schneiderlin was missed, as was Forster (again), but it is too simplistic to say that was the reason for this pathetic performance. I suspect that the real reason is that there are simply not enough great players in the squad to pick up the slack. We have many good and maybe very good players for the future, it is just that now is the problem and I don't think that there is any easy answer. For this season, Saints aims have to be, first and foremost, to try and pick up enough points to at least retain seventh place against a resurgent Swansea. Over and above that, the clubs immediately above us seem no more consistent than ourselves. Manchester United lost again, as did Spurs, so at least sixth place ought to be possible and maybe even fifth. Our last three games are Leicester away, Villa at home and Manchester City away. None of them easy.